Planning your next vacation? Document your trip (big or small) with photos that will allow you to remember and share your experiences long after you return home. Whether you want to capture picture-perfect spots in NYC or head west to embrace scenic spots in San Francisco, you don’t need to be an expert to get genuinely beautiful shots. Whether you decide to use a nice camera or a smartphone, there are plenty of photography tips and tricks that will help you know how to take the perfect photo. Make sure the equipment you use is familiar to you. You don’t want to spend the whole trip reading your camera manual. Once you decide on what camera you’re bringing, the photos will come naturally. In case you hit a photo block and aren’t sure what to photograph, we’ve created a travel photography checklist that includes what to bring on your trip and photo ideas. Simply read through the travel photography tips, print the checklist and you’ll be ready to go! While planning your trip, make a note of destinations that are beautiful. Find out if they are easy to get to and what sort of transportation you’ll need. Will you need a permit for the area? Figure out the logistics ahead of time so you don’t run into problems after you’re already there. The best way to learn is through others. Look at other photographer’s blogs and social media to see if they’ve been to the location you’re visiting. As you look at photos, create a bucket list of places you’d like to photograph while exploring. And make note of the composition and angles to capture. You don’t need to travel far to practice your travel photography skills. Look up local attractions and go visit them with your camera. Learn how the light works in natural settings compared to more industrial ones. You don’t need to (and shouldn’t) bring every camera accessory you have with you on your journey. Not only will they be heavy to lug around, but there’s a danger of losing or forgetting pieces behind. Bring only the key items such as the camera, a charger and memory cards. Make sure everything is charged and ready to go before you set out for the day. Bring along 2-3 extra charged batteries for your camera and external flash. If you’re going to a foreign country where the language is not your own, try learning a few phrases. Things like “hello”, “thank you” and “Can I take your photo?” will go a long way and might lead to a better photograph. Ask the locals where the best places to shoot are. Ask about their favorite photo spot and they’ll likely be excited to share the wonders of their home. Be sure to be respectful of their space and leave them alone if they’re not interested in talking with you. If you’re a beginner photographer, take some time to learn the basics. When taking photos, keep in mind guidelines like the rule of thirds and your depth of field. Learning photography terms will help you take better quality photos. Not all your shots should be posed and planned out. Try a variety of angles, capturing candids. Take photos of everything, the one you least expect may be the one that ends up the best. When shooting, make sure you give yourself plenty of time at the location. A time crunch will lead to blurry and rushed photos. Leave yourself enough time to set up, learn what setting your camera should be on and find the right light. This may mean starting your days earlier than normal. Lighting is everything. Make sure you know the different sunrise and sunset times of the location you’re at. Even places only a few hours away can differ. It may also be helpful to know what direction the landmark is facing that you’re trying to photograph so you can plan to be there when it’s in full light. If you’re visiting a place that’s been photographed thousands of times, try a new angle. Find hidden details that aren’t always noticed like paintings on the ceiling. Shoot through an alleyway that frames the photo or move around and try to find a new vision. Don’t overthink the shot. Stay in the moment and go with the flow. Don’t be afraid to switch around your schedule to get a good photo. Bring a small notebook with you as you travel and when you take photos to make sure you’re noting the place and your camera settings. This will help you later on as you go back to see what worked and what didn’t. Look at the weather forecast if you’re shooting outdoors. Remember, just because it’s raining or snowing doesn’t mean you shouldn’t go. Sometimes a foggy backdrop can reflect the light and make for an even better photo. You’ve probably invested a lot in your camera and accessories, so make sure they are kept safe. Bring a camera bag with you that has a lot of padding and can be locked. Every time you return to home base, whether that be a hotel or friend’s home, make sure you backup your photos. This will free up space on your camera and will keep your images safe. Bring your camera with you wherever you go. The perfect shot could be where you least expect it. This will also let you document your whole trip, not just parts. You may be visiting this place but to others, it’s home. Be respectful of the people and animals you meet along your journey. Get out of your comfort zone and a venture off the beaten path. Try finding something unique to photograph. Get a little lost. Once you’ve returned from your trip, make sure your photos don’t just sit on the memory card or computer. 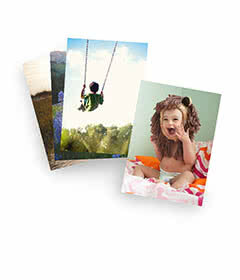 Share them by creating a photo board on your wall or styling a travel photo book. Travel photography is a fun way to document your trips. It allows you to take your stories home and share them with friends and family. Try creating a collage with a photo collage app and sharing your experiences on social media.